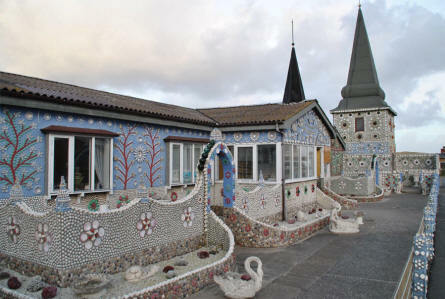 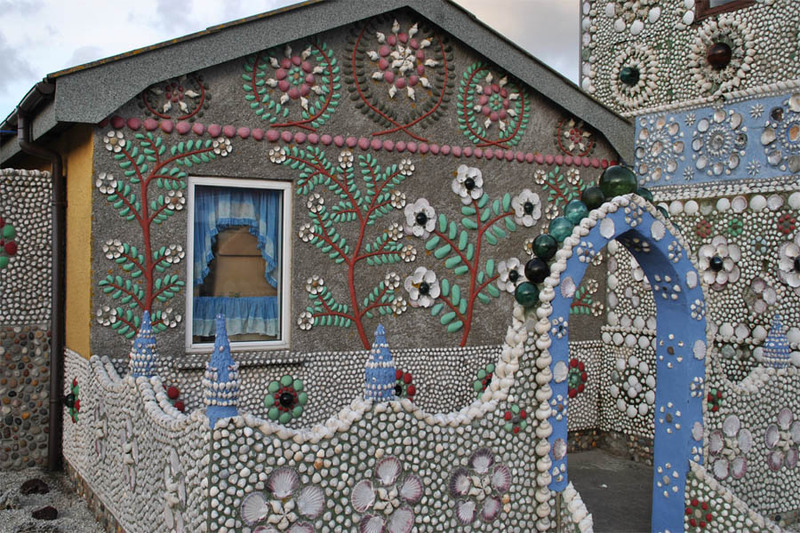 The Seashell House (Sneglehuset) is a house that is fully decorated with seashells all over. 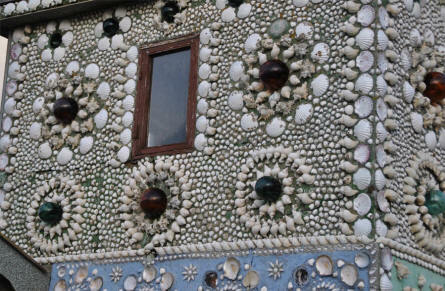 Inside the museum you can also see al lot of different seashells from all over the world. The Seashell house in Thyborøn. 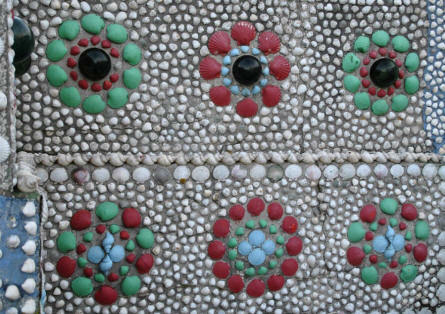 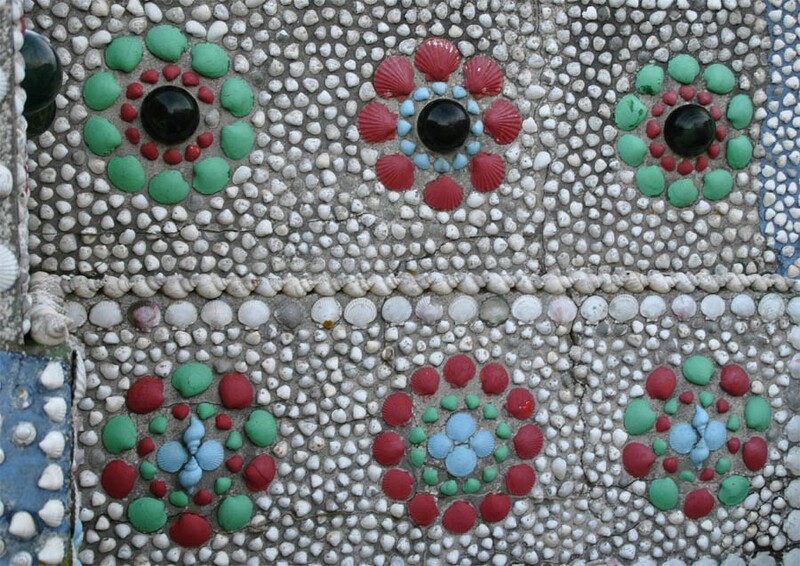 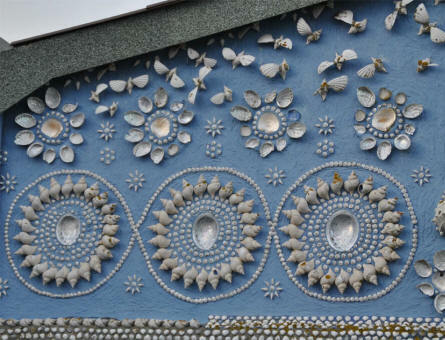 Details from the Seashell house in Thyborøn. A section of the Seashell house in Thyborøn. 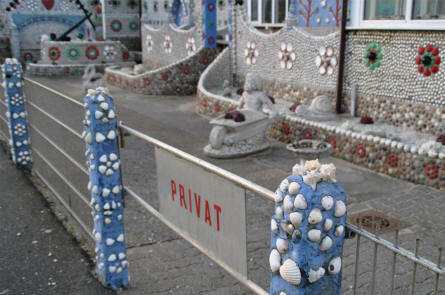 The fence at the Seashell house in Thyborøn. Some man-coloured seashells on the Seashell house in Thyborøn. The Seashell house was closed for the winter during our visit.